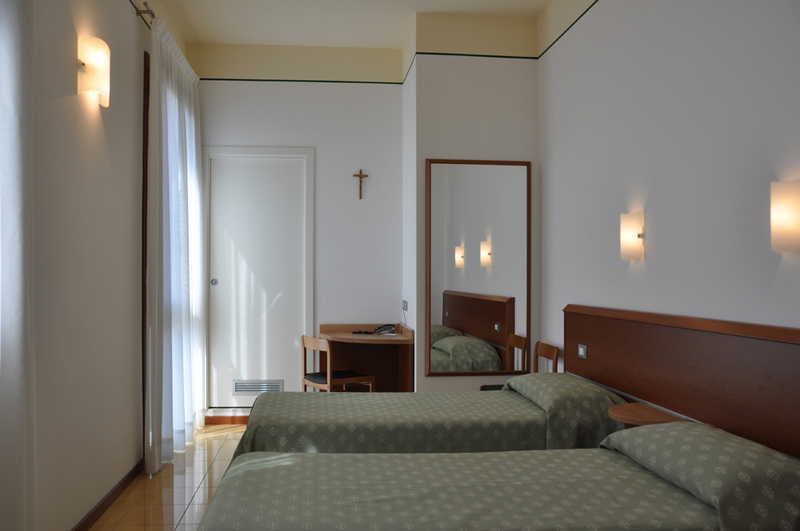 Our Center consists of about 80 rooms: single, double, triple and quadruple, all our rooms are wide, bright, with overview on gardens or cloisters, all with air conditioning, private bathroom with shower, safe, hairdryer, telephone and WI-FI access. The entire complex, both inside and in the open space areas is covered by Wi-Fi connection. 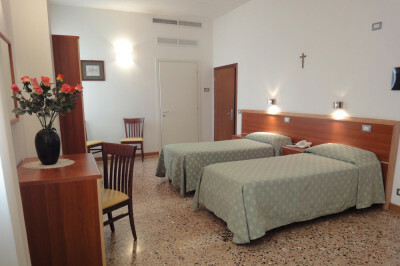 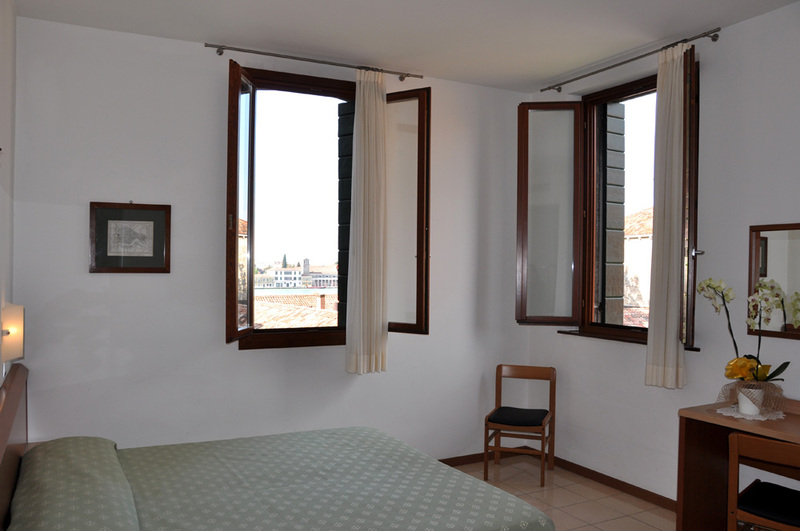 We offer a service of bed and breakfast with buffet, which is served in the wide breakfast room at the ground floor, or by nice weather in the courtyard with water well and it is also possible to reserve lunch or dinner at the Restaurant San Trovaso, which is connected to our Center.